Custom printed With Your Logo, Motto, Slogan or Personalized Message! 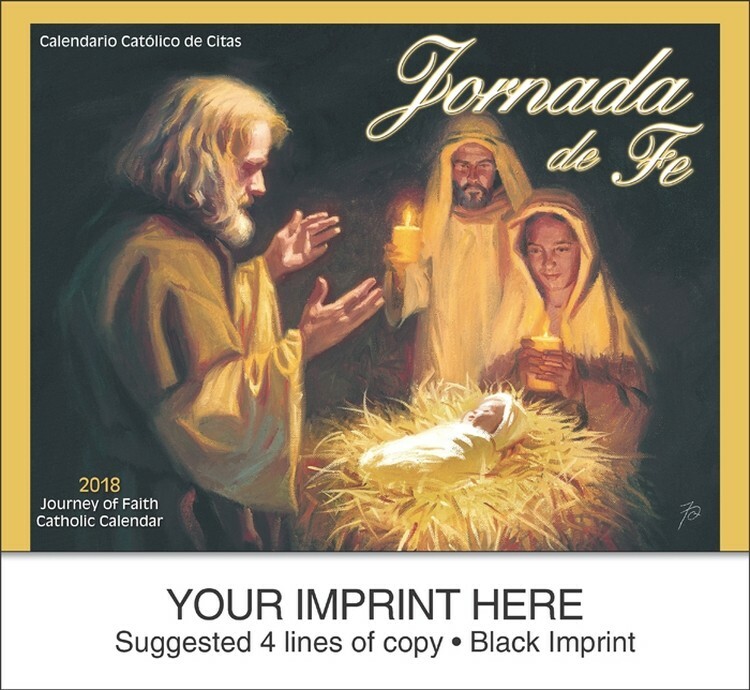 Our religious and church personalized calendars for 2020 include styles for catholic, christian, jewish, multi denomination religion, and universal faith churches. Many calendars include bible verses and inspirational passages, and some include a funeral pre-planner sheet to make these great logo imprinted or personalized promotional calendar gifts for funeral homes, or cemetary and mortuary services. 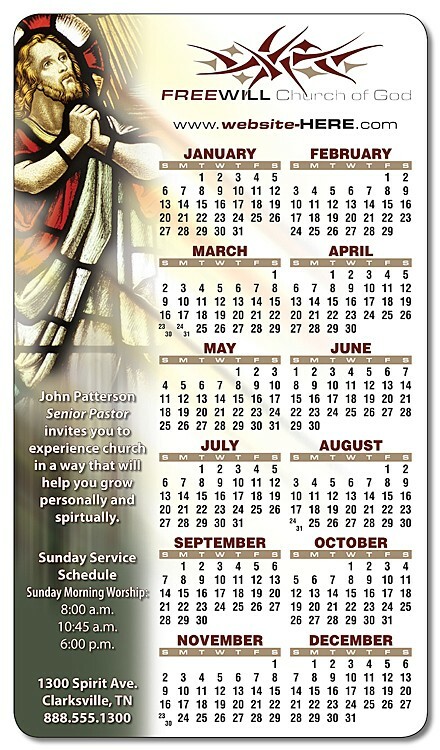 Imprinted personalized church calendars have been an appreciated promotional gift for decades! LP Marketing can custom imprint your church logo, motto, slogan or spiritual message on 2020 religious calendars. We offer scenic inspirational calendar styles with catholic, jewish, protestant and non-denominational themes for all church religions. 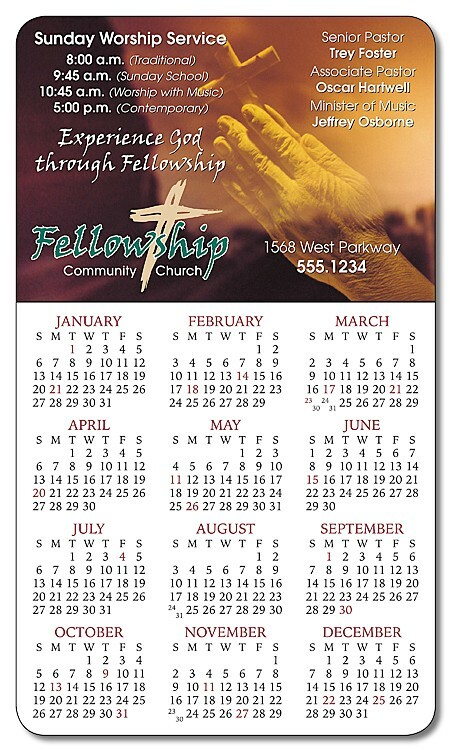 Our 2020 calendars make great imprinted personalized promotional gifts for any congregation or ministry. Call us today!